A short introduction to web mapping with Django, using two very simple applications: django-leaflet and django-geojson, by Makina Corpus. We will build a map with all major weather stations of the world. Each weather station has an id, a name and a position. The World Meteorological Organization publishes a list of all major weather stations, in a CSV format. Now, our table is full of records (~ 12000) ! If you open it with graphical tools like QGis, it's stuffed ! A blank map shows up, with a basic OpenStreetMap background. The map shows up, and get filled with weather stations ! This was a first introduction, but it applies to all kinds of goemetries (lines, polygons, ...). I published the full project if you want to start from an example. 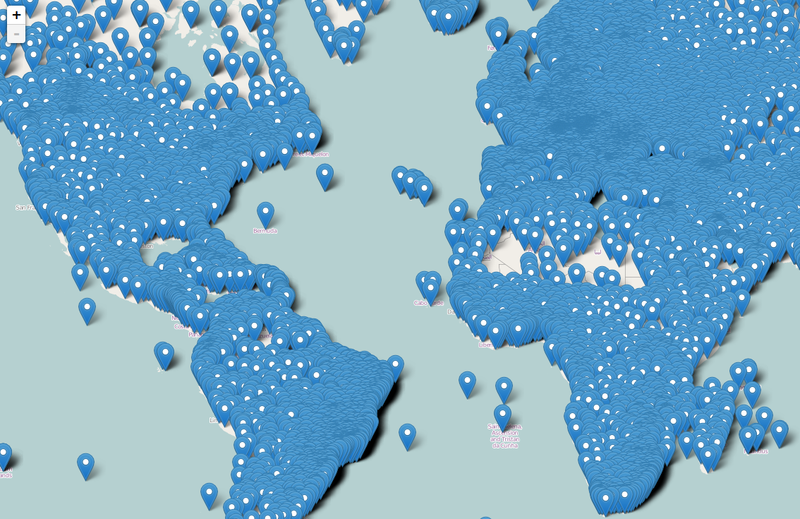 A map with more than 12 000 HTML objects is not going to be snappy. Hopefully, it won't be the case for your first applications !